The Canadian Automobile Dealers Association lobbied senators to amend Bill S-2, The Strengthening Motor Vehicles Safety for Canadians Act, to include what it calls “modest compensation from the manufacturer” in the event of a recall. Mitsubishi Canada is recalling 9,552 cars for a second time to replace faulty Takata front passenger air bag inflators. The recall covers Lancer and Lancer Evolution models from 2004 through 2006. 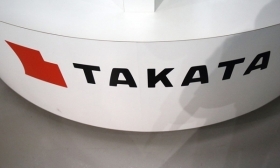 The cars were recalled in 2015 and inflators were replaced with identical Takata parts. Takata inflators use ammonium nitrate to cause a small explosion and inflate the bags in a crash. But the chemical can deteriorate over time when exposed to airborne moisture and high temperatures. It can burn too fast and explode with too much force, spewing shrapnel. Up to 19 people have died worldwide and more than 180 have been injured. No injuries have been reported in Canada. Mitsubishi says in government documents posted Thursday that it now has a permanent replacement part that doesn't use ammonium nitrate.